For my final post before the Thanksigiving holiday, I offer you a delicious after dinner (or breakfast!) drink that will nevertheless do absolutely nothing to counter your turkey/mash potato coma. You see, just as the chocolatey egg cream you can get at your nearest Jewish deli has neither egg nor cream, the Coffee Cocktail has no coffee. 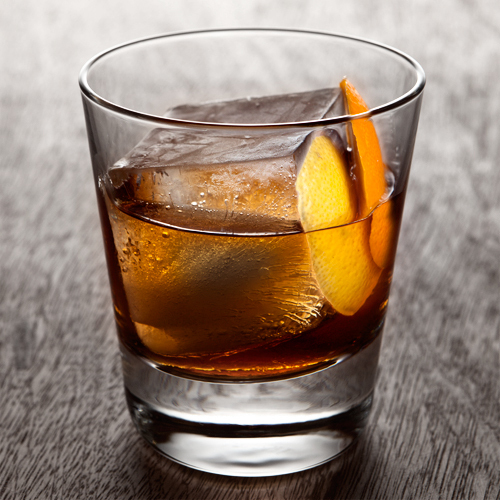 Moreover, when it was invented some time in the 1880s or so, it wasn’t even actually a cocktail, because back then that required the presence of bitters. What it is, however, is shockingly delicious. 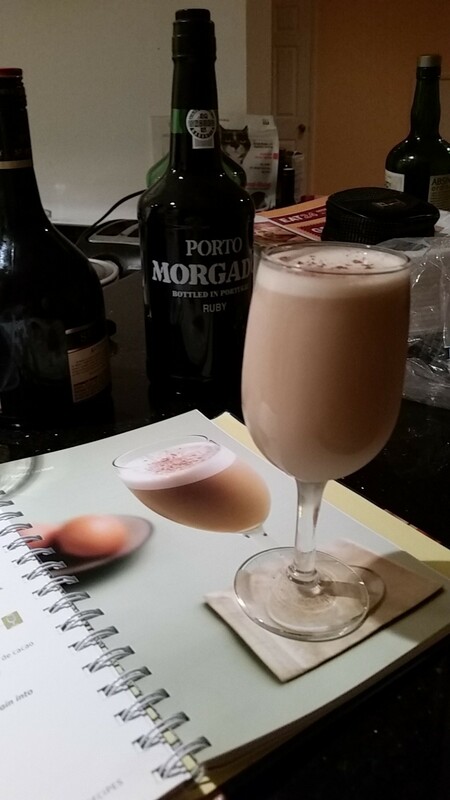 Think a winey, lighter, fruitier egg nog. In fact, it’s so good I simply can’t decide between the two recipes I found, so I’m giving you both recipes this week in an act of outrageous pre-Turkey Day bounty. It’s got a whole egg in it, but thanks to the miracle of pasteurized eggs, there’s really no reason any tippler should avoid this. Combine the liquid ingredients in a cocktail shaker. 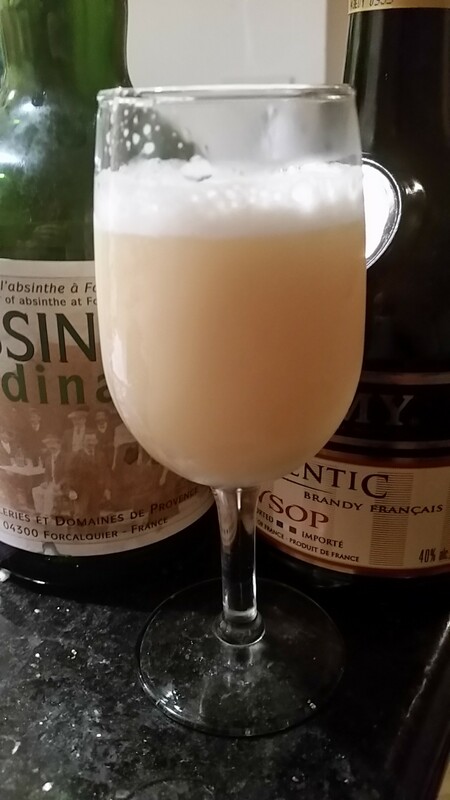 Dry shake (i.e., without ice) to properly emulsify the egg. If done properly, it will disappear in a lovely beige-to-light purple froth. Then, add lots of ice and shake again. Strain into a chilled wine glass or goblet and sprinkle a bit of grated nutmeg on top. Toast the fact that you’re lucky enough to have shelter and be able to enjoy life’s simpler pleasures, such as a really delicious and refreshing not-quite-cocktail complete with all the nutrition of a whole egg. 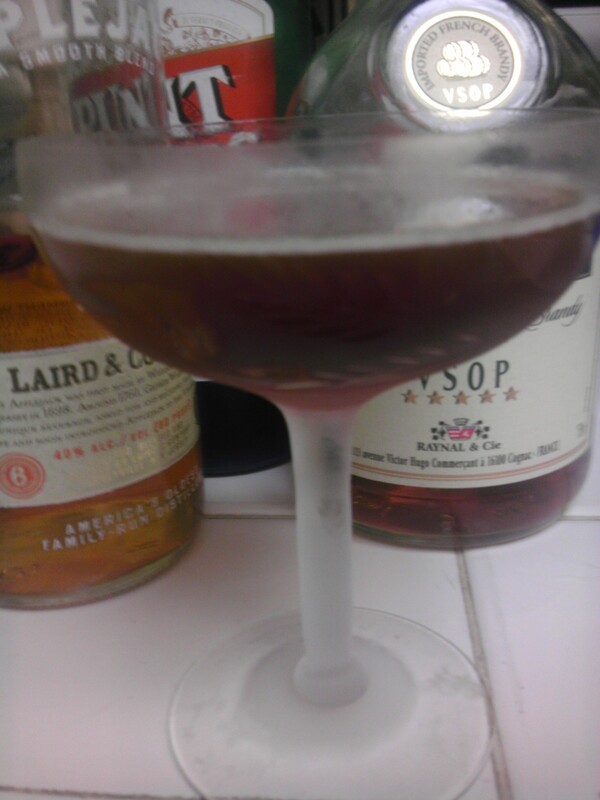 I mostly made this with the remains of my bottle of St. Remy Brandy and, later, a very inexpensive bottle of a brand called Hartley, made by the Sazarac company. It’s sweetness was actually a very nice complement to the drink. Still, the big decision a Coffee Cocktail drinker has to make is between tawny and ruby port. The first recipe above is drawn mainly from Robert Hess’s The Essential Bartender’s Guide (you can also see him make it in this video). Hess actually calls for simple syrup, but I found substituting a similar amount of actual sugar added just the right amount of additional sweetness to a drink that just wants to be that way. He, however, does not specify a type of port. “Any port in a storm,” he suggests. The second recipe is based on Ted “Dr. Cocktail” Haigh’s recipe in his Vintage Spirits and Forgotten Cocktails, reviving the drink first memorialized in 1887 by the legendary Jerry Thomas. He specifically calls for ruby port. My own verdict: Stick with the tawny on the first version, it’s mellower, and the results look slightly more coffee-like, as the ruby port makes a drink that’s far more purple than beige. I loved both tawny and ruby port on the second, Haighian take. As for my egg, yes, it was pasteurized and, especially if you can find super-safe eggs on sale at your liquor supermarket the way I did, you might as well go that way if you’re making this on the big holiday. Our digestive systems take enough Thanksgiving punishment…but I definitely wouldn’t discourage hardier souls from using a regular, garden variety egg. The Coffee Cocktail is worth a tiny risk. If you like exotic models, you’re going to love Brandy. Look at those amazing eyes! We love this lovely Asian model, and we’re sure you will as well. Check out her entire shoot.